For O'Connor, singing from a woman's perspective is "liberating"
"(...) I'm going to sleep, my nurse, come to me. Put a lamp at the head, a constellation, the one you like, they're all good; lower it a little bit. Leave me alone: you hear break the buds, a celestial foot cradles you from above and a bird draws you a few bars so you forget. Thank you ... Ah, a commission, if he calls again by phone you tell him not to insist, that I have left ...". This is a fragment of the poem "I'm going to sleep" by Alfonsina Storni. 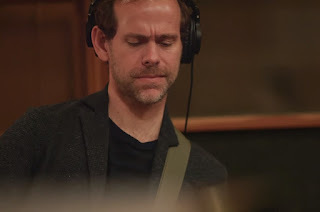 For Dessner, the premiere comes less than a month after The National, a band created in Cincinnati nearly two decades ago, won a Grammy for best alternative music album for "Sleep Well Beast. "Dessner, who lives in Paris and also won a Grammy two years ago in a chamber music category, said in a statement to the press that the band appreciated the award, although he did not expect it. For the musician, it is rare that these milestones in the race usually come when they are not truly waiting for them. The American composer and guitarist of the alternative rock band The National has put music to several poems by Alfonsina Storni, the exquisite Argentine feminist poet whose life ended in suicide. The song cycle of the acclaimed modernist poet, whose bold verses speak mostly of love, was composed by Bryce Dessner for the mezzo-soprano Kelley O'Connor; it takes as title and closes with "I am going to sleep", the last poetry of Storni, that sent to a newspaper before throwing itself to the sea in 1938, when it was 46 years old. The St. Luke's orchestra supports O'Connor for the world premiere of the play this Thursday at Carnegie Hall in New York, led by Robert Spano, music director of the Atlanta Symphony Orchestra and defender of contemporary music. Dessner wrote the piece after listening to O'Connor sing another musical adaptation of poems in Spanish, "Canciones de Neruda" by the late composer Peter Lieberson, a show he described as incredibly beautiful. Dessner, who studied Spanish at Yale University, where he also obtained his master's degree in music, knew the poets of the generation of '27 well, especially Federico García Lorca, but he noticed that women, both then and now, were poorly represented. Likewise, Dessner, who previously played the avant-garde Chilean poet Vicente Huidobro, was attracted to Storni in part by the song of the late Argentine singer Mercedes Sosa "Alfonsina y el mar", from 1969, composed by Ariel Ramírez and Félix Luna. Although modest in the scope of his work, Dessner said there were no reasons why Storni should be less known internationally than García Lorca. Storni was born in Switzerland and emigrated to Argentina as a child. She was a single mother and had breast cancer, had a variety of jobs to support herself and her son, and all this fueled the woman's claim in her writing. Dessner's cycle of songs opens ethereally with the poem "I at the bottom of the sea" before the more romantic "Sweet torture" and "Lighthouse at night" in which the horns stand out as the metaphor of stability of the poem. Strings and percussion grow in the closing poem, creating an aquatic, foggy climate when O'Connor painfully sings "I'm going to sleep."